There is no difference in the origin of black tea and green tea. They both come from the same plant. The only difference is that green tea is less processed than its’ black counterpart. This means that the green tea has levels of natural ingredients. Green tea is notable for its many health benefits. In particular, green tea benefits your liver, heart, brain, and bones. Blood transports nutrients and oxygen to the muscles. The ingredients in green tea boost blood flow, which, in turn, means greater oxygen levels reaching the muscles. Green tea boosts the performance of the heart and assists in breaking down the bad fats that lead to the arteries clogging up. This happens because of antioxidants that are known as polyphenols that combat the buildup of cholesterol. Opening up the arteries means a better flow of blood. This will mean enhanced performance. Furthermore, the increased oxygen supply also goes to the brain. This keeps your mental alertness optimal, which can give you an edge if you are participating in competitive sports. Catechins are antioxidants found in green tea. When you drink the tea, a catechin referred to as EGCG is known to increase thermogenesis, which translates to burning fat even when the body is at rest. Eventually, the increased metabolism of fat will lead to a healthier and leaner body. If you are overweight and you burn calories at a higher rate, it means you will get fitter faster. Though drinking green tea on its own will not lead to significant weight loss, coupled with exercise and other techniques, it can help you lose fat faster. Another possible advantage of taking green tea is that it does not have calories. If you substitute it with the sugary drinks that you are used to, it will lead to a reduced calorie intake. Green tea contains caffeine. This stimulant leads to increased burning of fat. However, you should not take an excessive amount of caffeine as it can irritate the digestive tract. A cup of green tea contains just enough caffeine to help you burn fat without it causing adverse effects. If you are intolerant to caffeine, you can go for the decaffeinated green tea that still has the other benefits. Caffeine also boosts your energy level. This means that you will workout for longer and over time, the body will start using the stored fat as a source of energy. 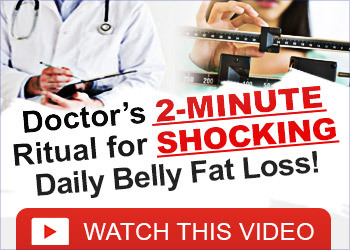 The result is losing stored fat and partaking in rigorous activities for lengthy periods. Muscle is the tissue that is used to exercise. When the body builds lean muscle mass, you can perform better in exercise and sports. Taking a cup of green tea before working out stimulates the release of GSH (Growth Stimulating Hormone). Together with this hormone, the antioxidants assist the muscle cells to heal faster after the workout. A further benefit of building lean muscle mass is that it helps in the fat burning process. Green tea, therefore, reduces fat even as it builds muscle and repairs the cells damaged during the workout. When you warm green tea before a workout, it has the effect of warming up the muscle prior to exertion. Warming up protects the muscle from strain injury. In this sense, the green tea makes your workout safer. You are not obviously going to succeed in your workout if you are unwell. Luckily, green tea has various disease-fighting properties that ensure that bugs do not interrupt your workout regime. This amazing drink contains flavonoids. These are the pigments that give plants their color. They protect against colds and flu attacks. Besides, they protect the muscles against the bruising that comes with strenuous exercise. A cup of green tea typically contains between 10 and 40mg of polyphenols. These antioxidants are 25 to 100 times more powerful than vitamin C and E. Furthermore, the healing power of the catechins in green tea is much stronger than that found in spinach, broccoli, or carrots. The bottom line is that taking green tea will keep you healthy enough to carry on with your workout. Pain is a barrier to exercise. Whether it is the muscles that are sore or joints that are painful, it is logical to assume that your workout will not progress well if you are in pain. Fortunately, green tea has Theanine. This amino acid results in a calming effect on the brain. This puts you in a good mood before exercising and also reduces pain. The overall effect is a more fruitful workout session. To sum up, green tea should be a constant companion to anyone who wants to achieve greater fitness. However, its benefit goes beyond fitness. It is a plant that promises health by preventing the build-up of toxins in the body. When you combine it with exercise, you will reap far greater benefits than if you consume it on its own. Even if you are trying to lose weight or just wanting to stay fit, you must know why a cup of green tea may give you a significant boost for your workout routine. Mark Fendelman is a blogger with a BFA in Creative Writing from University of Evansville, Indiana. He is studying for his master’s degree in Human Nutrition.